1.Val Kilmer is an artist in more than just acting. Val’s art ranges in style and medium, but most recently he has been working with enamel paint on metal. His art can be found in showings, galleries, and pop-up shops around the country. He also is a notable singer, having released a CD in 2007 and donated the proceeds to charity. His singing came in handy when he played Jim Morrison in Oliver Stone’s rock ’n’ roll biopic The Doors. He attended every concert and event featuring The Doors in preparation for the role and in the end he did all his own singing in the film, receiving high praise. 2. Val Kilmer is a devout Christian Scientist. 3. 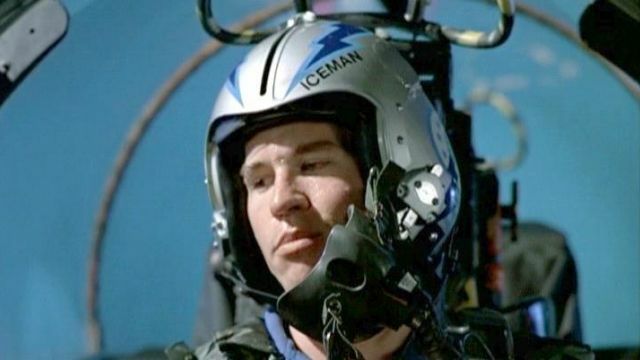 Val Kilmer isn’t done with Top Gun. That’s right folks, Val is currently working on a sequel to Top Gun, called Top Gun: Maverick. The long wait for another steamy volleyball scene is almost over. With the cast set, veterans Tom Cruise and Val Kilmer will be mentoring the next generation of fighter pilots in the upcoming film. The movie is currently in production and set to be released in 2020. 4. 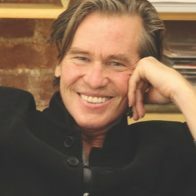 Val Kilmer beat throat cancer. Val was very private about his battle with cancer, but in 2015 it became public knowledge when he had a tumor removed at UCLA Medical Center. He denied the cancer in order to keep his health private, until he made a statement in 2017 notifying everyone that he was cancer-free. Throughout his two year battle with cancer, he leaned on the support of his faith. 5. Val Kilmer has a history with Mark Twain. After playing Mark Twain in the 2014 production of Tom Sawyer and Huckleberry Finn, Val took his character to the stage. He created a one-man theater production called Citizen Twain, in which he plays Mark Twain. Kilmer uses this role to address the notable feud between Mark Twain and Christian Science founder Mary Baker Eddy. Through his portale of Twain, he takes a deeper look at the American author’s slanderous writing and the true feelings behind it. He paints Mary Baker Eddy as a strong woman of the time, venturing into men’s territory of spirituality. He is now taking Citizen Twain on tour, hitting colleges, museums, and libraries around the nation with exclusive screenings of his one-man act, hosted by Kilmer himself and followed up with a Q&A.